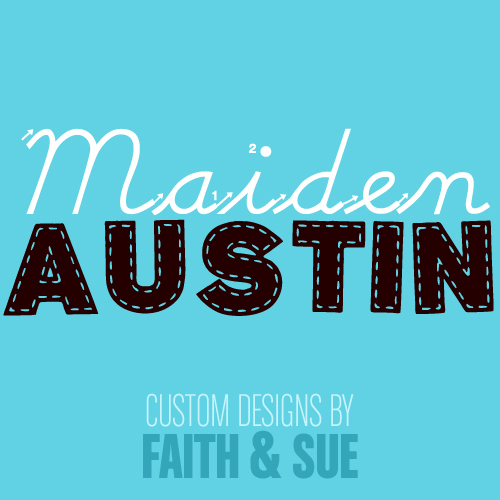 It is with incredible pride I introduce here a new “Faith Venture.” I have joined forces with my great friend, Sue Stroud, to form our company, MaidenAustin. We work together to create one-of-a-kind jewelry, housewares, accessories, paper products… and, our latest… we’ve begun collaborating with our friend, Keri Anderson, owner and incredibly talented terrarium designer of Slavonk & Hortus. Come see us at the next Austin Flea (next Saturday, March 23rd from 11am – 5pm at The Rattle Inn) – it’ll be a party!